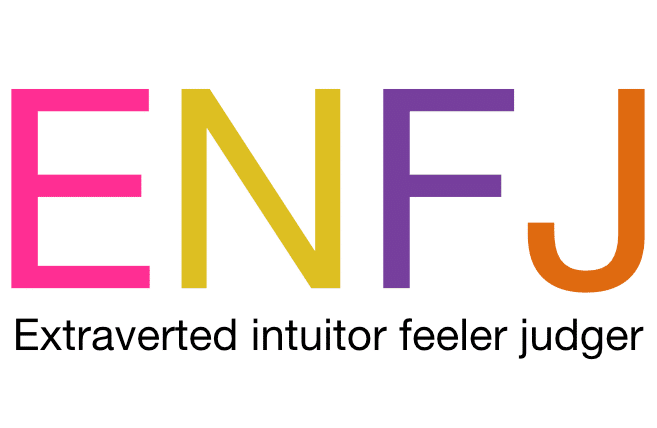 The Judger element of the ENFJ personality type means that Feeling is extraverted with this personality type and Intuition is Introverted. Their preference in how they decide and come to conclusions (judgements) is through Feeling rather than Thinking. Their personality dynamic is therefore Extraverted Feeling with Introverted Intuition. Their third preference is Sensing and their inferior function is Introverted Thinking. show them “why” the learning is important and how it meets their values how it can help people. As I have learnt in this session, no one is completely introvert or extrovert. There are times/situations when I display introvert personality but most of the time I am an extrovert. I love talking, in fact in my school days the one things that got me in trouble in class was talking (we were not supposed to talk (make noise) in class unless it was break time). I guess for me the wait was too long. Maybe this is why I have no problem starting a conversation with people I don’t know. Despite talking getting me in trouble in the classroom, my favorite sitting position is always at the front of the class, to date. I enjoy other people’s company and in a group setting, I will easily participate in giving ideas/opinions. Most of the time I do more than one thing, am currently running my therapy business and learning, I have also a partnered with my sister and we run an online business. As I mentioned, am not an extrovert all the time, as social and relatable as I am, I have very few close friends. I have a bit of the sensor habits, but most predominant are the Intuitor habits. I love finding out the relationship of ideas, this could be the reason I decided to take this course because am sure it compliments my psychology/counseling course. 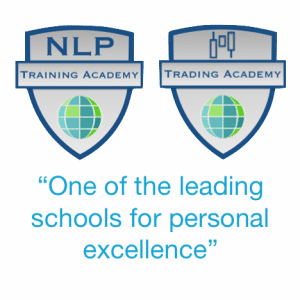 In fact as a future oriented individual, I believe NLP Master Practitioner course is necessary for my profession in future (considering that in my country NLP is still not popular). I don’t like puzzles parse, but I enjoy books, movies and documentaries with true stories line that solves(d) puzzling situation (the Sensor in me doesn’t mind facts/figures). I am more of a Feeler than Thinker. This was more difficult to pick one because I swing between these 2 metaprograms almost equally (I think). If am to pick one, I will go for Feeler. (Let me know which came out strongly) I listen to my heart and consider people’s feelings. I value harmony and I try as much as possible to use tact in my interactions. Fairness, caring, being reasonable and objective are some of the things I value. However in situations where there is dishonesty/unfairness, I am not afraid to voice my disagreement. I make decisions easily, especially after clarification. I also welcome and accept the consequences of my decision, I do not blame anyone/anything for it. The perceiver part of me is creative and spontaneous and love to explore unknown territories. 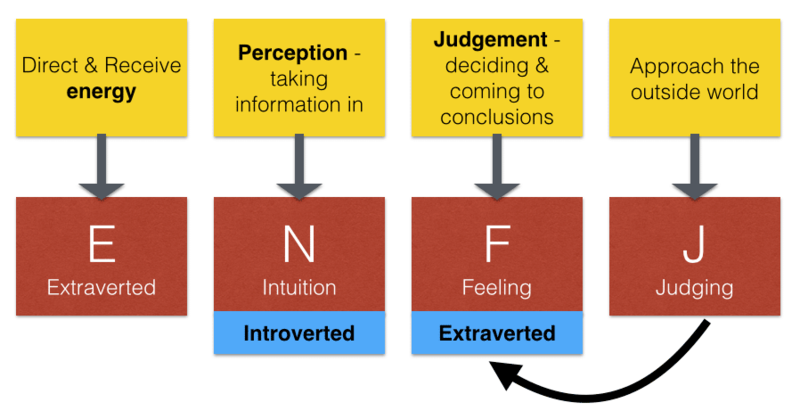 I guess this makes me an Extrovert/intuitor/Feeler/Judger. This exercise seemed easy but actually the more I got into it, the more challenging it became. This is because, given between each 2 choices of the metaprograms typologies, I realized that I possessed behaviours of each. When I ask others around me, they always type me as extrovert (but they just got to see me in certain situations). I love to go out and spending time amongst people walking through London (without talking to anybody). I love to live in a huge and vibrant city as London and I think this speaks for itself – again extrovert. I have no problems meeting new people and talking to them, but on the other hand sometimes networking is really hard for me. When being at private events I am usually amongst the more lively personalities tend to entertain others (extrovert). I also love fashion, make-up, jewelry and having my hair done even if I don’t go out (extrovert clearly). Another example for both sides is my holiday style. I enjoy most just travelling with my partner and I don’t really need to have much contact with others. We prefer to backpack and hate hotels (actually this is a rather interesting discussion – is backpacking extrovert or introvert?…It is clearly introvert as you are more by yourself, but is is also extremely extrovert as you don’t hide in a resort and put yourself out there to the world…?). Especially on holidays I often get annoyed with people (other travelers, not the natives) quickly. At the same time we love travelling to highly crowded places like India and Asia and just love the hustle and bustle. I was told that I am an exceptional listener and I can lean back and let my clients take center stage (although I have had to learn this when I started). I am clearly more an Intuitor than a Sensor. My thinking concentrates on the bigger picture and I love thinking on an strategic and abstract level. Details often bore me and I am not able to understand them until I have been given the big picture first. I definitely communicate in a chunk up style and often talk about helicopter view and the overall goal. I love reading about ideas and theories and always try to extract and learn from them. Also I have a vital desire to always understand everything and what was leading there, how it relates. I don’t like puzzles, because they are all about details, and I don’t have the patience. However when it comes to business and profession I can be a Sensor as well, focusing on details and facts and delivering a clear and precise outcome. I even enjoy doing bookkeeping – really! Again I am torn between Feeler and Thinker – as discussed before. The two run head on head and often fight each other. I am a high kinesthetic, but logic and decisions are equally important. I always aim to please both when it comes to decisions and feel very unbalanced if this is not possible. MBTI stated that my preference is Feeler, I see it 50/50. I am very big on intuition and always concerned about others. On the other hand I am able to make very hard and unpleasant business decisions (like redundancies) if I see that the business situation is demanding it. I am always (almost too) frank with people telling them the truth and not beating around the bush (could also be my German genes as we are more direct than other cultures ;-)). 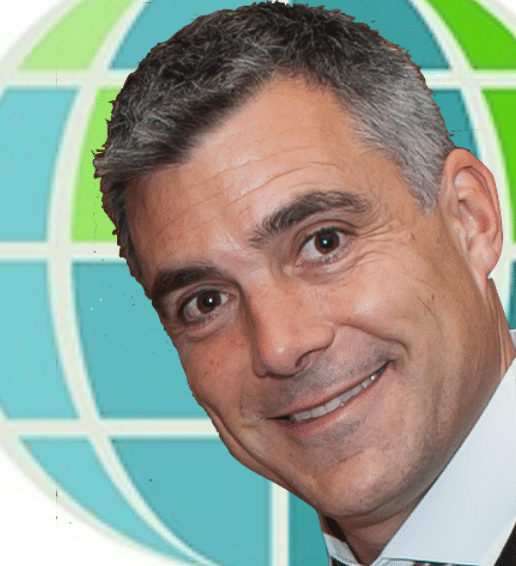 I am aiming to merge both side to achieve a very unique style which brought me a lot of success as a former executive and now as a business and executive coach, being able to see both sides. I am a very clear Judger—literally!!! One of my personal development attributes that I am working on is actually to avoid judging people. I need some degree (not overly) order and sequence and I love my lists!! Surprises really stress me out – I am not sure if it is the loss of control or just my very high expectations…maybe both! I need closure and sometimes annoy people with endless discussions and lessons learned sessions. I am always on time and feel really bad when I am late. I leave for the airport even an hour early than I need to as the idea of missing a flight would stress me out extremely. When people are late I take it as an insult as they stealing my life time (getting better at this now, promise!! Since I moved to London I learned that you cannot always be in time).